Although plenty of people drink alcohol without being excessive, the meat of the alcohol industry’s property margins are made up from people who abuse alcohol, consistently. Recent numbers from the UK show that that nearly 70% of all alcohol consumption was conducted risky drinkers. These individuals are classified as people who consume more than 14 units of alcohol in a single drinking session. Essentially, if each person who was an at-risk drinker drank in moderate amounts, the alcohol industry would take an enormous hit. One possible solution to this issue that has been discussed, and even implemented in Canada, is mandatory minimum pricing, which would set a minimum price point for each unit of alcohol. This would raise prices on types of alcoholic beverages that are more likely to be consumed by risky drinkers, and could cut down consumption across the board. It’s important to note that these numbers do are not meant to condemn the entire alcohol industry. They are not the architects of addiction and dangerous behavior, but they certainly do profit from it. This creates a conflict of interest between industry leaders’ bottom line and the need to benefit society. The truth is that addiction is a public health issue that manufacturers of legal substances, like alcohol, need to take seriously. The good news is that, despite this, the numbers on alcohol are actually looking a lot brighter. 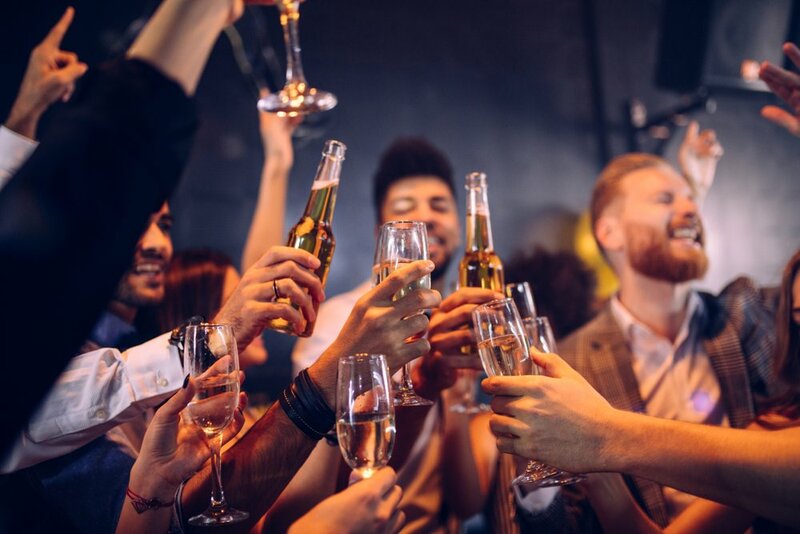 In the last decade, alone, there has been a notable reduction in binge drinking, alcoholism, underage drinking, and even drunk driving, which has almost been cut in half.